Get to the airport early if you want the good seats e.g. bulkhead seat and potentially exit row seat. If you want a highly coveted bulk head seat, make sure to arrive at the check-in counter before everyone else. Those seats are generally reserved for families with your children and are sometimes assigned on a first-come-first-served basis. 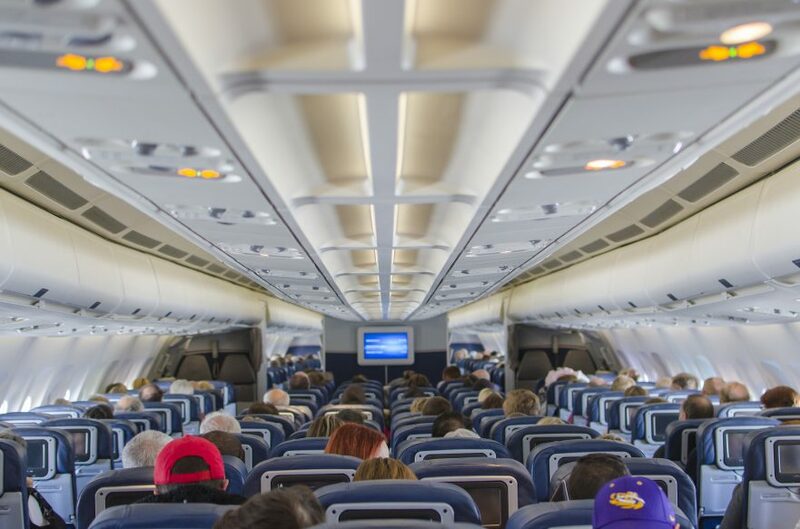 Is a bulkhead seat right for you? A bulk head seat is great for parents with young children because it gives them more space to stand and play. You can even lay down a blanket and let your infant crawl about safely. However, there are a few small cons. You are not allowed to store any kind of bag near your feet; all bags must be placed in the overhead compartment during landing and takeoff. Also, with no seat in front of you, you also won’t have any seat pocket storage. If you need to keep your valuables safe, I’d highly recommend using a travel money belt. I use this running/travel belt to stow my passports, cards and phone. It is invisible when worn under clothes. Oh, and you are out of luck if you want exit row seats. For most airlines, there is an age limit for exit row seats (generally 12-18 years and up) and young children are not allowed to sit in these seats.